Polyurethane wheel which can avoid disintegration. Professional grade liquid cast 100% polyurethane mechanically bonded to an engineered flow-through polyolefin core. The​​ unique polyurethane formula can avoid disintegration problem which the usual plastic wheel would face, and provide 5 times longer wheel tread life than general wheels. 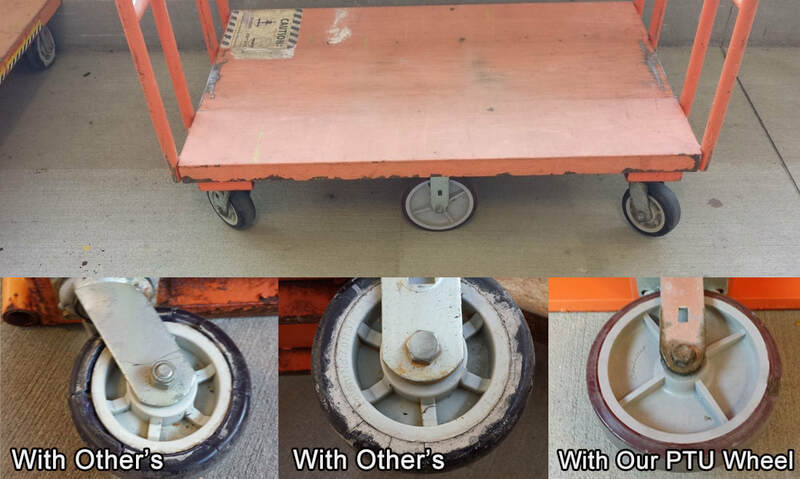 Duratough polyurethane wheel resists oil, grease, water, and most solvents, and has high resistance to debris. Non-marking and quiet tread reduces unwanted noise and has superb floor protection. High capacity and light weight for ultra-ergonomic performance. Various colors available.